(CNN) - Don't compare President Barack Obama to Captain James T. Kirk. 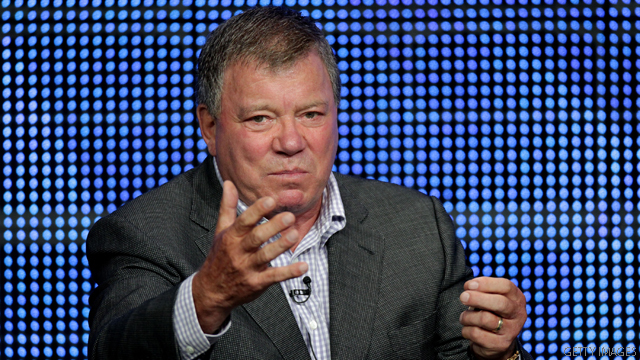 That's what William Shatner told CNN's Ali Velshi when asked to respond to suggestions that Obama should act less like "Spock" and more like "Captain Kirk". Shatner said the comparisons are "unfair" because "Mr. Obama has the onerous burden of obeying the constitution [and] Captain Kirk was captain of everybody's fate. He was a dictator". The 80 year-old cultural icon, who famously played Captain Kirk in the Star Trek television series and feature films, is out with a new book, "Shatner Rules," in which he talks about his acting career that has spanned more than four decades. So what are the "Shatner Rules" for any presidential candidate hoping to stay in the race until the very end? "Spend less money on the campaign and more for the people. Give some of the money to the people who need it," Shatner said in the interview set to air Friday on CNN's "American Morning." Although he cannot vote in the 2012 election because he is Canadian, Shatner sent a warning to any candidate intent on winning the race for the White House. "This country is being torn apart by people with great passion who believe in their point of view and to disparage that point of view is to lose the argument," he said. "We are approaching a crisis where people see not just the necessity, but the Armageddon of not cooperating. Hopefully the people we elect will see it as well." Take all of the tea party candidates and beam them up Scotty.